Thank you to everyone who has contacted me recently about potholes and broken road surfaces in our area. I have now been told by the Roads Service that repairs have been carried out on a number of these roads. Whilst these repairs are welcome, they are no substitute for resurfacing or properly patching roads. I will continue to press for the council to invest more in resurfacing and properly repairing Aberdeen’s crumbling roads and pavements. I am still waiting to hear from the Roads Service whether they will carry out repairs to a number of other roads I highlighted on behalf of residents. Please do let me know about any other problems with road and pavement surfaces in our area. Sorry Ian you have been misled. The junction at Inchbrae drive/ Inchbrae road is a joke. I now take a circuitous route to avoid the whole jing bang. Unfortunately potholes have to be a certain size before the council will fill them! I will highlight the junction of Inchbrae Drive and Inchbrae Road to council staff. Please take a walk or drive down Hammerfield Avenue. It is a disgrace and no way has it been satisfactorily repaired. I agree. Hammerfield Avenue is in a disgraceful condition. 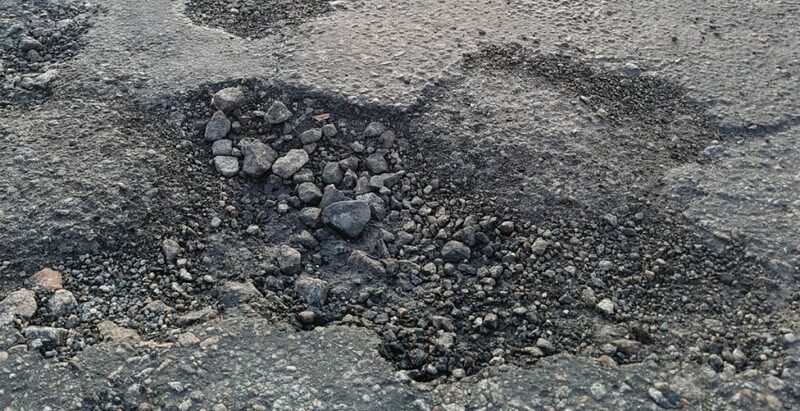 Whilst the Road Service has filled a few potholes that is not a long-term solution. Hammerfield Avenue needs to be completely resurfaced. I have been contacted by a constituent about the ever-deteriorating condition of the road surface of Hammerfield Avenue. My constituent is particularly concerned about the condition of the road surface of Hammerfield Avenue between its junctions with Norfolk Road and Broomhill Road. I would be very grateful if Hammerfield Avenue could be inspected and the necessary repairs carried out. Given that the road surface of Hammerfield Avenue is in a very poor, potholed and broken state, I also urge that Hammerfield Avenue is resurfaced as soon as possible. You have my assurance that I will continue to highlight the condition of Hammerfield Avenue to the Roads Service and to urge that it is properly resurfaced.